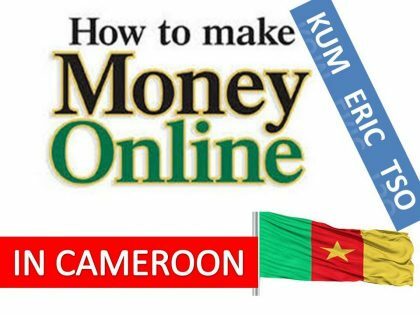 102 ways to make money online in Cameroon in 2018 is a continuation of our self made millionaire series specially designed to help Cameroonians make money online and experience the so much needed financial freedom. Make sure you read the full series in case you’re just joining in. In case you have difficulties starting out online, opt in to MMT Offers and we’ll help you out from the very beginning till you start earning as much as you desire online. 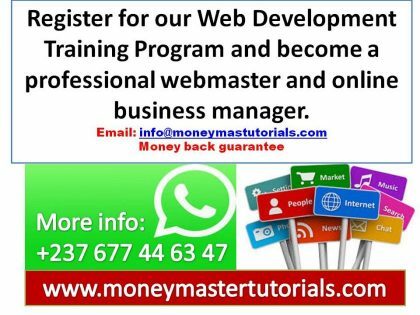 Thanks to the internet there are now a wide assortment of ways to make money online in Cameroon. So if you are stuck in a dead-end job and would like to change your life around then this guide will provide actionable strategies to enable you to do so. Whether you are looking for ways to make a bit of extra money, or create a full-time income stream, there are plenty of opportunities to do so, all online and from the comfort of your own home. Working as a freelancer is a great way to make money online in Cameroon from the comfort of your own home. The beauty of freelancing is that you can tailor it to suit your needs. You can freelance for a couple of hours a week in the evenings to help save up for a holiday or some much needed home improvements. Or carve out a full-time job for yourself, giving you a more satisfying work-life balance and enabling you to do the simpler things in life like taking the kids to school. With so many jobs available online, freelancing is becoming more and more popular. To get started, check out jobs on freelancer websites like People per Hour and Upwork. By browsing these sites you will get a good understanding of what freelance jobs are available. And although the majority of the jobs on these sites are quite low paid, they are a great place to start. Tools & Resources: For the best coding tutorials and complete training in web building check out MMT Offers. With apps being constantly developed, competent app developers are in high demand. Again, if you have the experience or skills to create successful apps then this could be something you could end up working on as a full-time freelancer. Check out adverts for developers on Toptal, a higher paying jobs site for experienced freelancers wanting to make money online in Cameroon. 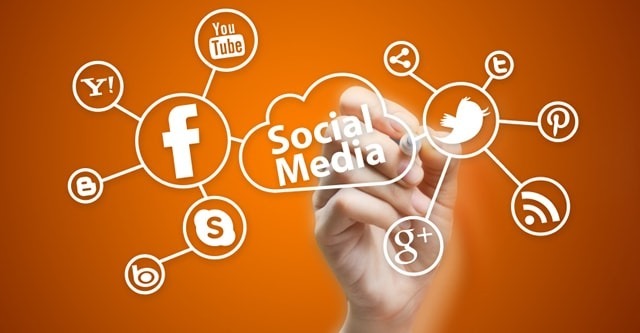 A social marketing manager could be asked to complete any tasks that are social media related. This could include scheduling all social media posts, running competitions, creating ad campaigns and much more, which can easily be done with social media management tools such as Postcron. Using Fiverr is a great way to pick up work. Once you have signed up you can advertise your services. Fiver allows you to create your own gigs, whether you are offering web design, digital marketing, writing, or something else. You can choose how much you want to charge (it can be more than a fiver) and people will then contact you if they are interested in working with you. Fiverr will not only help you get experience if you are just starting off as a freelancer, it will also help you earn some extra make money online in Cameroon. 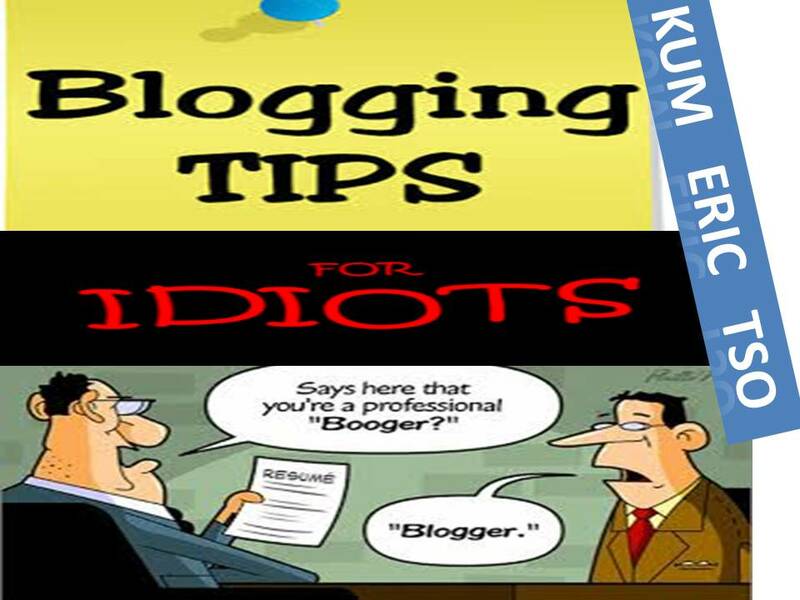 Creating your own blog can be a very effective way of topping up your monthly income. Or, for those lucky few who have blogs that really take off, it can become your main paycheck. 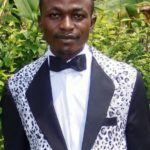 But what are the key ways to make money from a blog in Cameroon? One of the most successful ways of monetizing your blog is through affiliate marketing with Amazon. This involves adding links from your site to products on Amazon, and then promoting those products in your blog’s content. If one of your visitors clicks through to Amazon and makes a purchase then you will receive a percentage of the sale. Webinars On Air is a powerful webinar tool that will enable you to create professional webinars for your viewers. Harnessing the power of Google Hangouts, this all in one solution will take care of all the technical aspects of hosting a webinar, including payments. Teachable is another easy way to offer online courses without having to own a website. You can also recruit affiliates to help you promote your courses. If your blog holds useful or sought after information, you should consider charging visitors to view this specific content. WPMU DEVhas a Pay Per View plugin that gives you the ability to charge visitors a one-off fee or subscription to access particular pages, posts or media. Once your blog starts receiving high volumes of traffic then it may be feasible to turn it into a full blown membership site. A membership site usually keeps all content hidden from the general public, insisting that people sign up to access the website’s posts and pages. Creating podcasts can be an effective way to grow your following and reach a new audience, especially if you post them on iTunes. However, with iTunes offering hundreds of thousands of podcasts for free, charging your audience to listen to them isn’t really feasible. So how can you make money through podcasting? If you offer freelance services like MMT Offers or have a physical services business, then creating a blog is a must. On your blog you can write about the services you offer and how they will benefit your clients. Importantly you can add a ‘Services’ page, outlining the services you provide, what they include, and any other important information potential clients may need. This is an effective way to promote your services, generate leads, and increase your revenue. Starting up your own blog or website can be very lucrative. Most bloggers earn over $100k a month from my blog. You can start your own blog easily here by simply following my 20 min step by step blog set up tutorial. A fitness site can have numerous revenue streams. Create healthy eating plans and recipes and lock them away as premium content. Promote and sell a fitness training course, eBook, or a series of videos. Or advertise your own personal fitness services on your site. Lifestyle blogging is a popular trend at the moment, and a great option for those passionate about sharing their lives online. If you enjoy posting on social media, taking selfies, and discussing what you’ve been up to with your followers, then your next step may well be setting up a lifestyle blog. Related: Why should I use Aweber? If you don’t have time to waste creating listings and promoting your products on eBay, then you should consider using eBay’s Valet Service. Simply drop off the products you are selling at an eBay drop off center and then let eBay’s experienced valets do the selling. When your items sell you will get up to 80% of the profits. Many Shopify website owners will buy products on Alibaba Express and populate their sites with those products. Setting up a digital download store can be a great way to make money online from your digital assets, charging visitors a fee to download each digital product. Easy Digital Downloads is a popular WordPress plugin that will enable you to turn your website into a complete eCommerce solution for selling digital downloads. Free apps have more chance of being downloaded, and can be monetized through selling advertising space on the app itself. However, if you want businesses to pay to advertise on your app you will have to be able to prove a high number of downloads. So make sure you are prepared to put in the effort to promote your app once it is created. Creating Software as a Service (SASS) and charging people to use it can be a good money earner. Charge your customers a one-off fee to access the tool you have created, or a monthly recurring payment. A useful and popular SASS can expect a high return, so if you have the programming skills for such a task it may be well worth your while. Successful websites can sell for a lot of money. Website’s like Flippa provide a platform to showcase websites to interested buyers. If you are skilled at putting websites together, and know how to drive traffic and build a following, then creating and selling websites might be an effective way for you to make money online. Re-selling web hosting will enable you to make money hosting your own client’s websites. Large hosting companies like Namecheap allow you to white label their hosting services. You could start your own hosting business or, if you are a web designer, include hosting into your web design packages. And the best of it is the hosting companies take care of the hosting for you, so all you need to worry about is selling. Famous YouTube vloggers have followings in the hundreds and thousands and have become celebrities in their own right. And through advertising on their videos they have made big bucks. Popular YouTube vloggers can be paid by companies to promote their websites, products, and services. If your YouTube channel has received over 10,000 views then you can begin to make money from your videos through advertising. YouTube place relevant ads on your videos, which in turn, if clicked on, will earn you money. To get started with this, simply sign up with Google AdSense, and YouTube will take care of the rest. What Other Ways Can You Make Money Online? There are other digital currencies that are well worth investing in such as LiteCoin and Ethereum, which have also seen substantial growth recently as well as lower value coins such as Ripple and Tron which will no doubt increase in value over the coming years. Buying and selling domains can be extremely profitable, with a single domain earning you thousands. However, this is a long game, and you may be waiting years for someone who is prepared to pay big money for one of your domains. Instead of trading stocks or commodities, another option is to trade in currencies. ForEx, also known as Foreign Exchange or Currency Trading, is the largest market in the world, and can make experienced traders a lot of money. If you haven’t dabbled in trading before, start small, and remember don’t risk more money than you can afford to lose. I recommend both Plus500 and Etoro, but prefer etoro as I just love using their CopyTrader functionality. 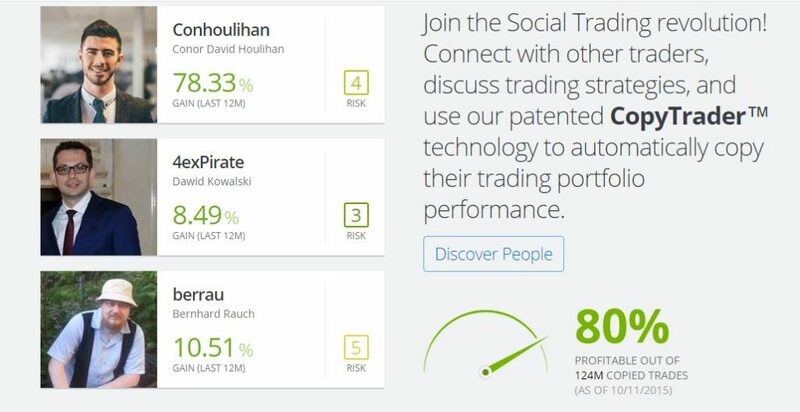 This feature allows you to automatically copy the most successful traders on Etoro. There are numerous online competition websites displaying thousands of competitions for you to enter. These competitions could win you prizes, gift cards, holidays and cold hard cash. Spend time each day finding and entering competitions. The more you enter, the better your chances of winning. Filling out surveys for cash can quickly amount to a tidy monthly payout. Sites like My Survey reward survey completion with gifts, vouchers, e-Cards, money, and much more. Simply signup and start answering questions. If you are a fast typer then getting paid to type up audio tracks may be for you. Take Note Typing is always looking for transcribers who can work from home typing up scripts. Similar to Amazon Mechanical Turk, ClickWorker offers a number of online jobs for those looking to make money online to pop up their income. You can select the job that interests you, from correcting text to participating in online surveys, and then complete the work whenever is convenient for you. As you can see, there are plenty of ways to make some extra money, or a full-time living, online. So if you are looking to increase your income, it’s time to try out some of the strategies mentioned above. Good Luck! And don’t forget to check out MMT Offers, packed full of ideas to help you make money online and offline. If you would like to hire me as your personal coach, trainer, or business promoter to help you set up your internet business or promote your Business online, whatsapp me on +237677446347. You can equally invite me to speak in events or attend my training seminars on internet marketing and web building. 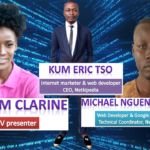 I currently train and coach hundreds of Cameroonians including bloggers, pastors, companies and local organizations staff to help market their companies, brand, products and services online.